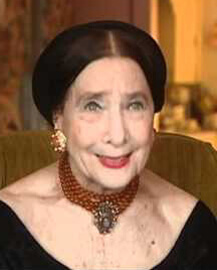 Artistic Advisor Emeritus Nathalie Krassovska – Madame Krassovska was born in Leningrad (now St. Petersburg) in 1919. Her mother danced with the Diaghilev Company at the time of Vaslav Nijinsky. Her grandmother, who danced for Czar Nicholas II, was a soloist with the Bolshoi Ballet. As a young girl, Madame Krassovska studied in Paris with the famous prima ballerina, Olga Preobrajenska, a teacher who trained a number of renowned dancers and Russian refugees. In 1936, Madame Krassovska joined Ballet Russe de Monte Carlo and quickly attained the rank of Prima Ballerina. In the 1940s, she was offered a movie contract by David O. Selznick (producer of Gone with the Wind), but turned it down to pursue her ballet career. She then became Prima Ballerina with the London Festival Ballet from 1950-1960, and founded the Krassovska Ballet Jeunesse in Dallas in 1963, in order to pass the art of classical ballet to the next generations. She served as the Artistic Advisor to the Allen Civic Ballet from its inception in 1999 until her death in 2005. 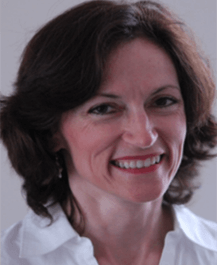 President and Artistic Director Stefanie Best – Ms. Best is the owner and director of the Allen Conservatory of Dance, which donates rehearsal space to the Allen Civic Ballet. she studied dance at Southern Methodist University and Houston Ballet Academy and holds an M.A. in Dance from the University of Houston. She danced with North Houston Dance Theatre and performed two seasons with the Dallas Opera. Ms. Best danced 10 years for Krassovska Ballet Jeunesse. Her experience includes roles in such ballets as Cinderella, Sleeping Beauty, Giselle, and Paquita and leads in Chopiniana, Moonlight Sonata, Nutcracker and Pas de Quatre. Ms. Best has been teaching ballet since 1985. 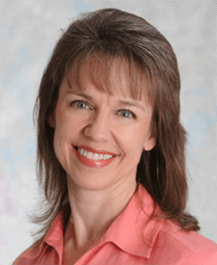 Vice President Mary Muller – Ms. Muller has a BFA in Ballet from Texas Christian University, and over 25 years of teaching experience with children and adults of all ages. She was accepted to the School of American Ballet at age 12, and received many scholarships throughout her training. She studied with Kathy Chamberlain, Jerry Bywaters Cochran, Lisa Fuscillo, Ellen Page Garrison, Nathalie Krassovska, June Nelson, Fernando Schaffenberg and others performing principal roles such as Swanilda, Black Swan, Snow Queen, Sugar Plum Fairy, and both leading and support roles in many other ballets such as Les Sylphides, Sleeping Beauty, La Boutique Fantasque, Don Quixote, Faust, Pas de Quatre as well as many roles created specifically for her. 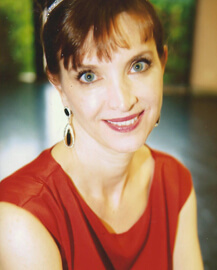 Linda Oustalet studied classical ballet from childhood through her teen years and returned as an adult to study at the Allen Conservatory of Dance and at Collin College. Linda has danced in the Nutcracker, The Sleeping Beauty, Cinderella, Coppelia and excerpts from Pas de Quartre, and Paquita. 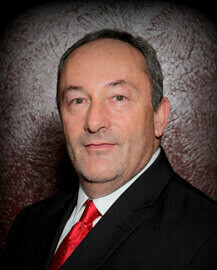 Richard Trimmer – Mr. Trimmer began his career at the age of 17 in Colorado under the direction of W. Lawrence Boyette and Carla Parks. Richard studied both Cecchetti and Vaganova styles under such notables as Nathalie Krassovska, Igor Youskevitch, Leon Danileon, Bill Martin-Viscount, and Jutec Kasamon. He also studied Martha Graham technique under James Nearing. He has performed with companies in Denver, Dallas, Oklahoma City, Pittsburgh, Little Rock, Shreveport, Lubbock, Chattanooga and been a Guest Artist with numerous ballet companies across the country. His most notable principal roles were in Swan Lake, Sleeping Beauty, Giselle, Nutcracker, La Bayadere, Don Quixote, Les Sylphides, Flower Festival, and Paquita. Mr. Trimmer has also choreographed a number of ballets and Pas de Deux.